Classical music: The Green Lake Festival of Music starts soon with its chamber music camp for young students. Here is a schedule of events, including many FREE ones. “Music: Soul to the Universe” is the theme of Green Lake Festival of Music’s 2016 season. 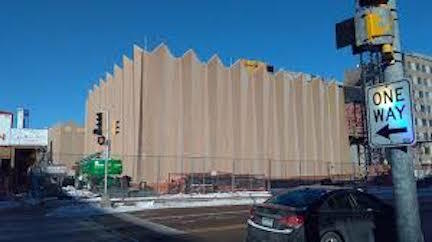 It includes concerts in styles ranging from classical chamber music to vocalists from the world’s stages—a variety of music that will please many of Green Lake area visitors looking for reasonably priced, high-quality entertainment. Please visit www.greenlakefestival.org for the most current calendar of events or to purchase tickets. Tickets are also available by calling the office at 920-748-9398. You can also stop by one of the following ticket outlets: Green Lake Bank (Green Lake) and Ripon Drug (Ripon). 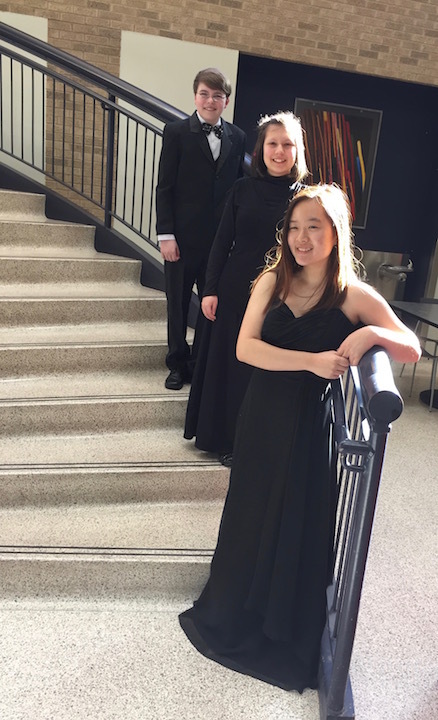 The concert season opens with young rising stars Trio Lago Verde (below top) in a FREE Season Preview Concert, sponsored by Lynn Grout-Paul in memory of Gerald Reed Grout, on Friday, June 10 at 7:30 p.m. in the historic Thrasher Opera House (below) in Green Lake. 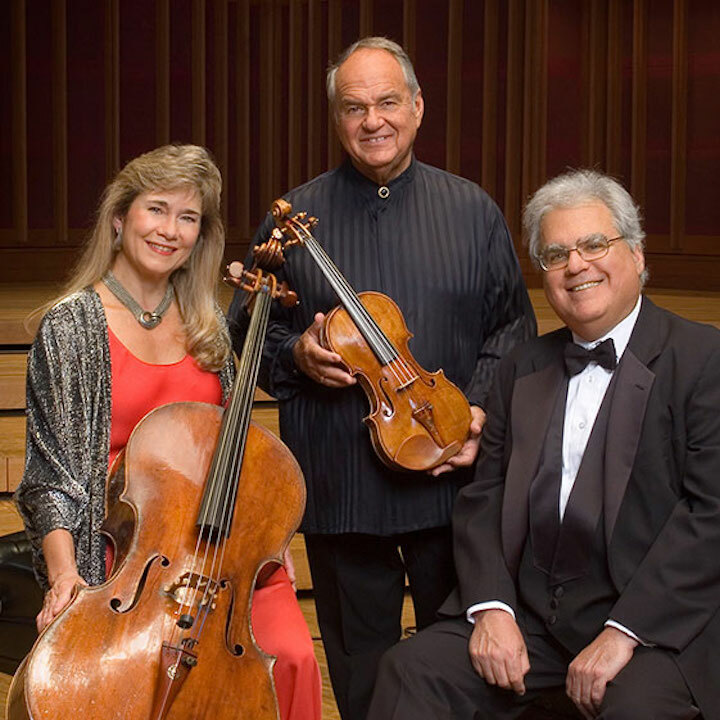 The trio — Italian for the Green Lake Trio — attended the Green Lake Festival Chamber Music Camp in 2015 and has recently performed on the “From the Top” program on NPR or National Public Radio. Visit our website to find a link to listen to their superb performance. On Sunday, June 12, at the Green Lake Conference Center near Green Lake, the Green Lake Chamber Players, made up of members of the chamber camp faculty, open the 18th annual Green Lake Music Festival Chamber Music Camp, as string and piano students from nine states, ages 11 to 20, convene at the Green Lake Conference Center for two weeks of stimulating music making, along with just plain fun. The daily schedule includes coaching sessions by Thomas Rosenberg (director of the Fischoff National Chamber Music Competition, cellist and the Camp’s Artistic Director); Samantha George, associate professor of violin at Lawrence Conservatory of Music in Appleton, Wisconsin; Karen Kim, Grammy Award-winning violinist; violist Deborah Barrett-Price, artistic director of the Chamber Music Connection, Inc.; Renee Skerik, instructor of viola at the Interlochen Arts Academy; Andrew Armstrong from the Amelia Piano Trio; James Howsmon, professor of Instrumental Accompanying at Oberlin College Conservatory; and guest artists, including the Calidore String Quartet (below). 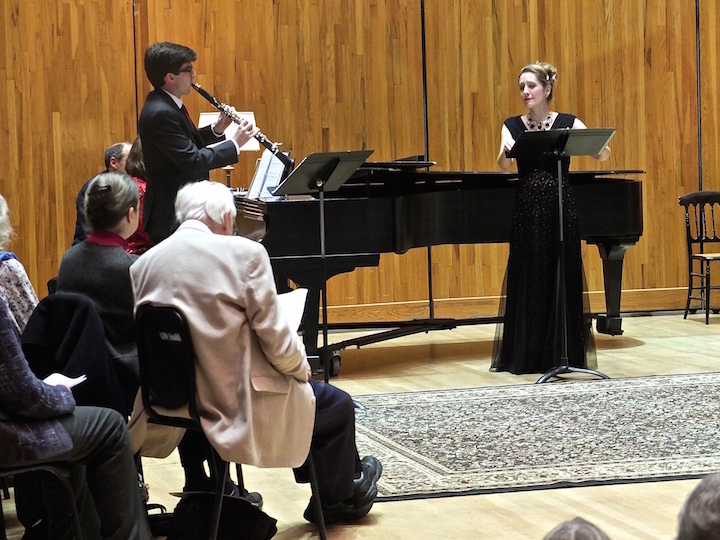 The program includes two public concerts – a Chamber Camp Student Recital on Saturday, June 18, at the Green Lake Conference Center and the final Chamber Music Celebration at Rodman Center for the Arts (below) at Ripon College, on Saturday, June 25. 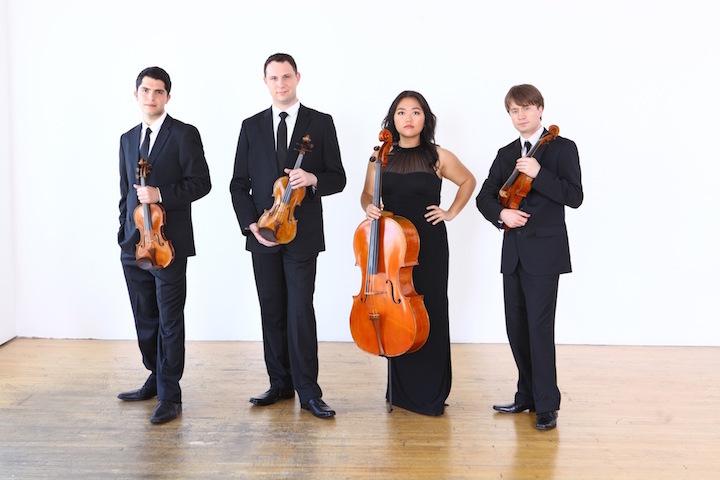 The Calidore String Quartet is currently artists-in-residence and visiting faculty at Stony Brook University (SUNY) and was appointed to the prestigious roster of the Chamber Music Society of Lincoln Center Two for the 2016- 2019 seasons. 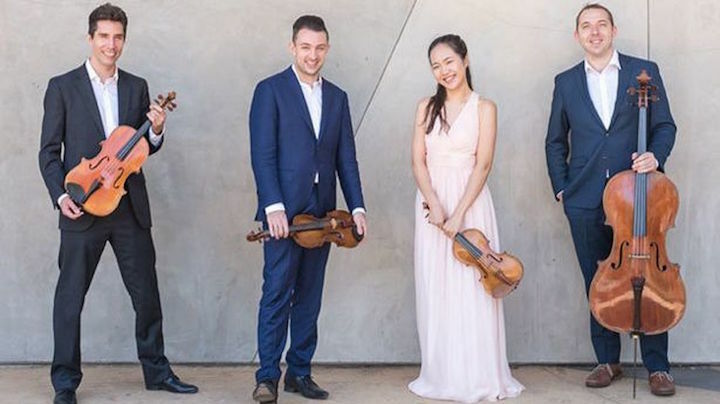 Described as “the epitome of confidence and finesse” (Gramophone Magazine) and “a miracle of unified thought” (La Presse, Montreal), the Calidore String Quartet has established an international reputation for its informed, polished, and passionate performances. 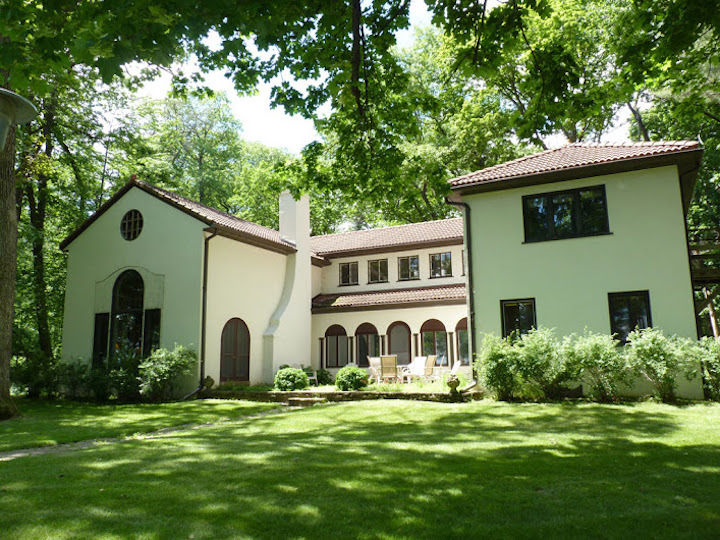 The performances during the camp will be Sunday, June 12; Friday, June 17, with the Green Lake Chamber Players; and the Calidore String Quartet performs Monday, June 20 and Thursday, June 23. 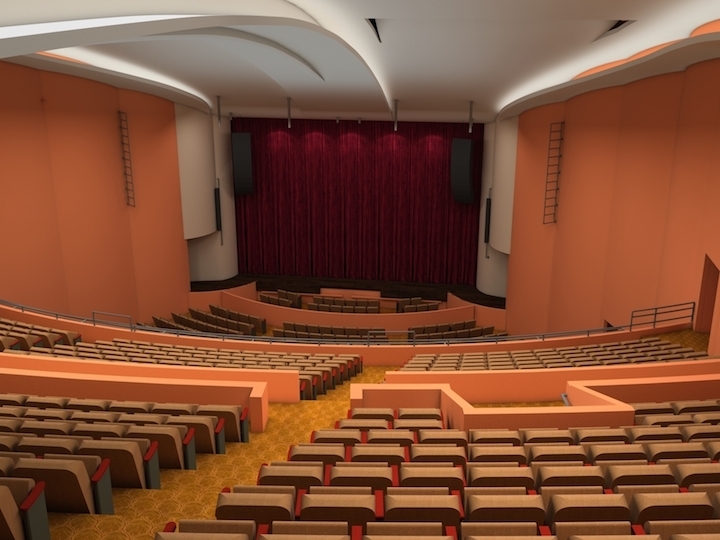 All of these performances will be held at the Green Lake Conference Center (below top, in a photo by Delmar Miller) in Pillsbury Hall (below bottom). 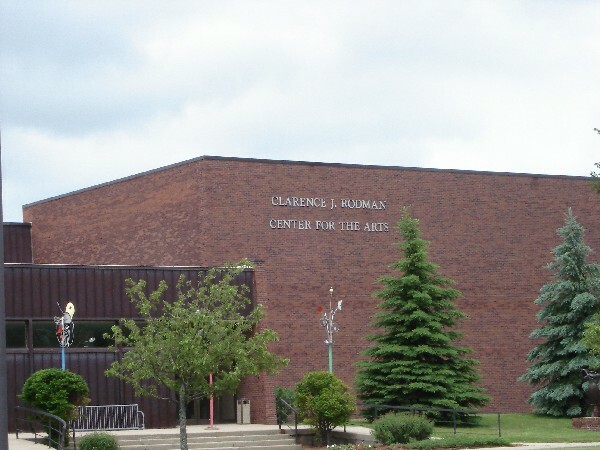 The Green Lake Chamber Music Camp and concert series is funded in part by the Arts Midwest Touring Arts Fund, a program of Arts Midwest, funded by the National Endowment for the Arts, with additional funding from the Wisconsin Arts Board, the Crane Group and General Mills Foundations. 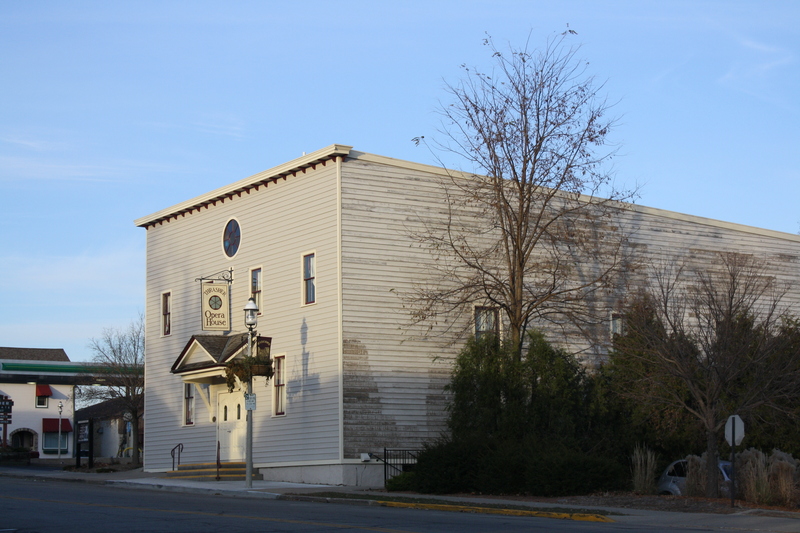 Other funding comes from the Horicon Bank, Oshkosh Area Community Foundation, and private/corporate donations. Wisconsin Public Radio provides promotional support. 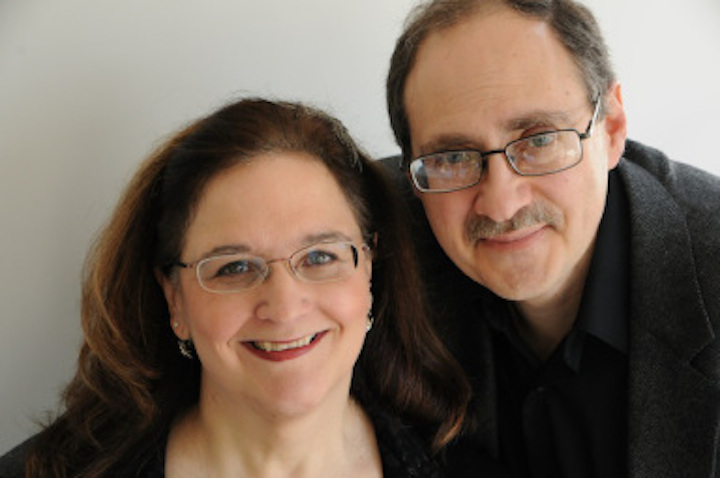 ALERT: This week’s FREE Friday Noon Musicale, held from 12:15 to 1 p.m. at the First Unitarian Society of Madison, 900 University Bay Drive, features Danielle Breisach, flute; Jeff Breisach, horn; Peter Miliczky and Clare Bresnahan, violins; Josh Dieringer, viola; Andrew Briggs, cello; and Jana Avedyahn, piano in music by Philip Glass, Jonathan Russ, Robert Ward and Zoltan Kodaly. Last Saturday night, The Ear attended the third annual Schubertiade in Mills Hall at the University of Wisconsin-Madison School of Music. 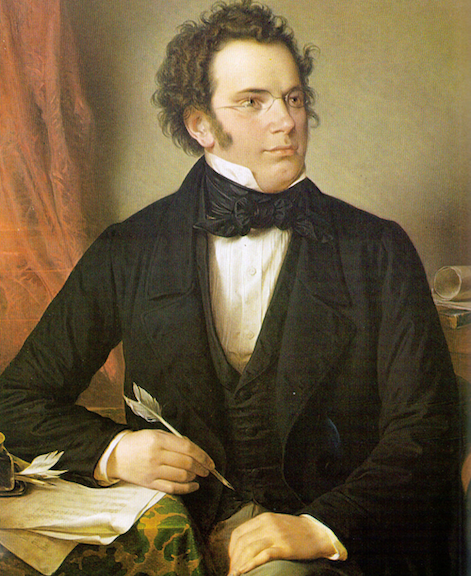 In case you aren’t acquainted with what a Schubertiade is, you should know that it is patterned after the kind of informal soirees, held in private homes and salons, where the early Romantic composer Franz Schubert (below, 1797-1828) often premiered to friends his latest songs, piano works and chamber music. The UW-Madison Schubertiades celebrate the composer’s Jan. 31 birthday and usually kick off the second semester of concerts. Below is a link to a previous posting — with the complete program and list of performers — about this year’s Schubertiade. And you can use the search engine on this blog to check out the Schubertiades in 2014 and 2015. Kudos and bravos are in order. There were so many things to like about the Schubertiade. It remained an informal and very listener-friendly event with great pacing. 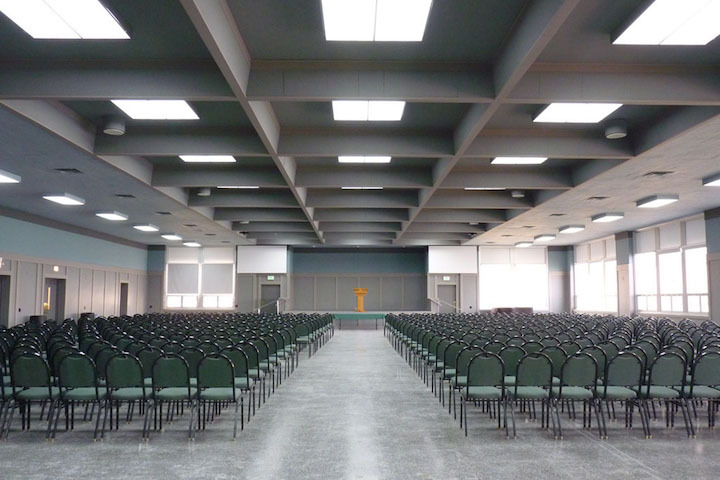 The idea of sitting people on the stage (below top) to recreate a salon gathering is inspired. What’s more, it works and puts the audience in exactly the right mood. Plus, there was exactly the right amount of commentary — not too little or too much. The program, organized this year around the theme of nature, cohered. It also proved convincing as a vehicle for so many different kinds of Schubert’s music, mostly shorter works – solo songs, larger choral works, piano duets and chamber music. The quality of the performances was amazingly even and amazingly engaging. The audience was so quiet, you could tell that it was wholly absorbed and not distracted. The musical works were extremely well matched to the performers, and played to their strengths and temperaments. The imported guest artist – soprano Jamie-Rose Guarrine (below bottom, in a photo by Peter Konerko), a graduate of the UW-Madison who sings opera and is now a professor at the University of Massachusetts in Amherst – proved a complete success in both her charming presentation and her first-class performances. 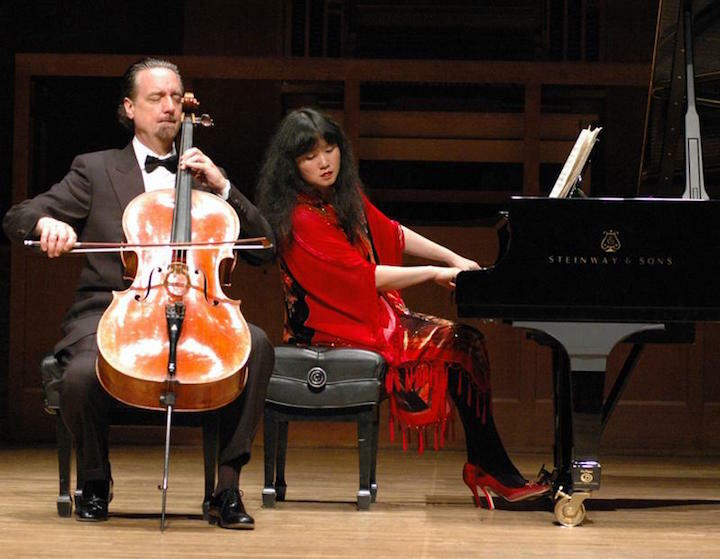 Another show-stopper was the superb rendition, both highly dramatic and subtly lyrical, of “Lebensstürme” (Life’s Storms) for piano, four hands, played by Lutes and Fisher. And the closing number, the famous “Shepherd on the Rock” for soprano, clarinet and piano, brought the house to a standing ovation. (The Ear hopes that this and other moments were recorded and get posted for streaming from the UW School of Music’s website or SoundCloud.) 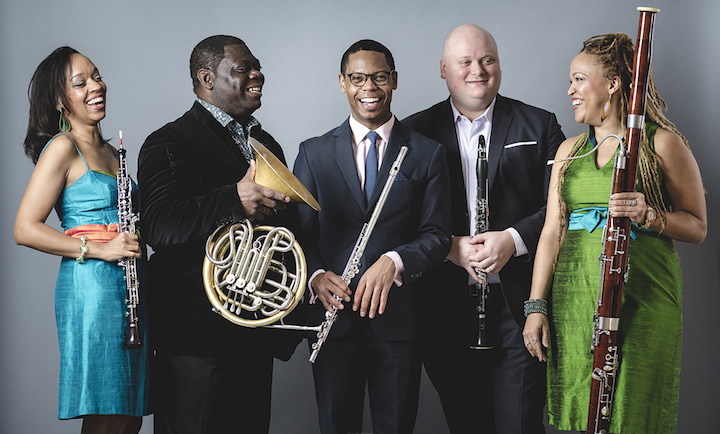 In the YouTube video at the bottom, you can hear this sublime late work in a performance by soprano Barbara Bonney, clarinetist David Shifrin and pianist Andre Watts for the Chamber Music Society of Lincoln Center. 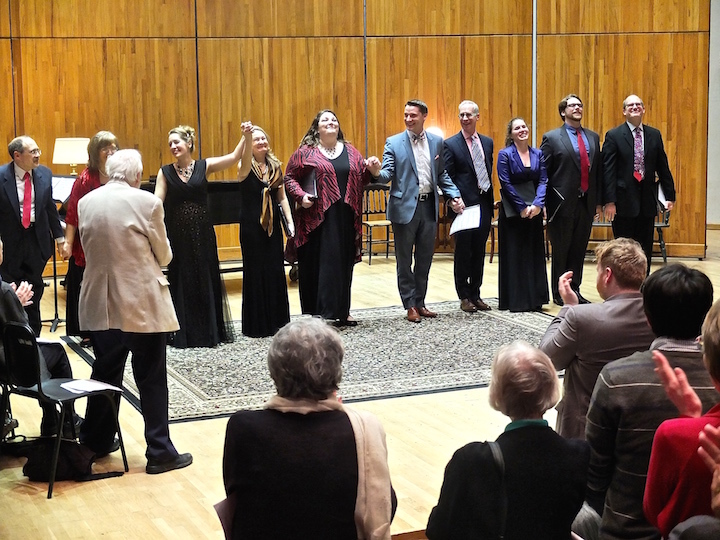 In short, the third annual Schubertiade proved a completely enjoyable and thoroughly persuasive evening of performances that attested to the quality, empathy and variety of the music that Franz Schubert created in his short life of 31 years. But perhaps the best, most memorable part of the event was to see the collaboration and cooperation that was so evident. 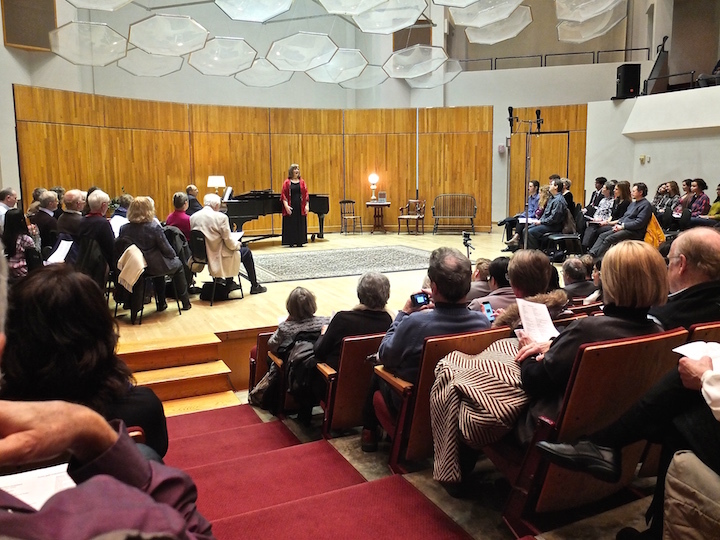 The Schubertiade featured an impressive lineup of faculty members, students and alumni. The many performers came from various departments: piano, voice, strings, brass, winds and opera. We see and hear far too little of that cooperation, it seems to The Ear. And when he talked to another loyal fan of UW music and of the Schubertiade, that fan agreed that such single-composer events are popular with the public and should take place more often. They serve as samplers with both familiar and unfamiliar works. So maybe the Schubertiade could serve as a model for similar events with other composers whose body of work is, like Schubert’s, both first-rate and very varied. Some composers who come immediately to mind are Johann Sebastian Bach, Wolfgang Amadeus Mozart, Ludwig van Beethoven, Robert Schumann and Johannes Brahms. And there are no doubt others who could be featured. Such collaborative events would also prove popular with the public, The Ear surmises. After all, this third Schubertiade seemed to draw the biggest audience yet – a two-thirds house of about 500 – even on the night when a UW-Madison hockey game was competing for attention. If you didn’t go, it was your loss. But there will be another Schubertiade next January, one presumes. Don’t miss it! And if you did go to this year’s Schubertiade, leave whatever you care to say in the COMMENTS section. Classical music: What if Johann Sebastian Bach had composed more of his popular “Brandenburg” Concertos? What might they look like and sound like? 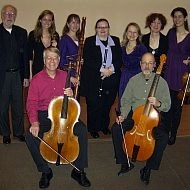 The Wisconsin Baroque Ensemble and guest artists from Chicago explore that possibility this Friday night. 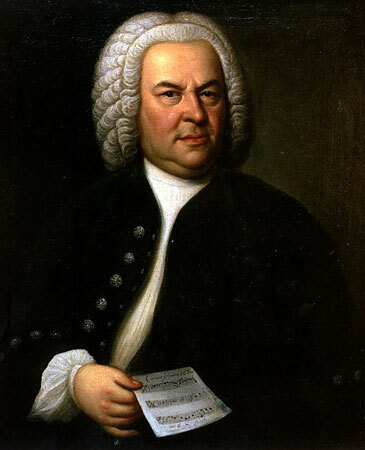 Few pieces of Baroque music, or of any classical music in any style from any period for that matter, are more beloved than the six secular “Brandenburg” Concertos that Johann Sebastian Bach (below) composed when he was seeking a court appointment. 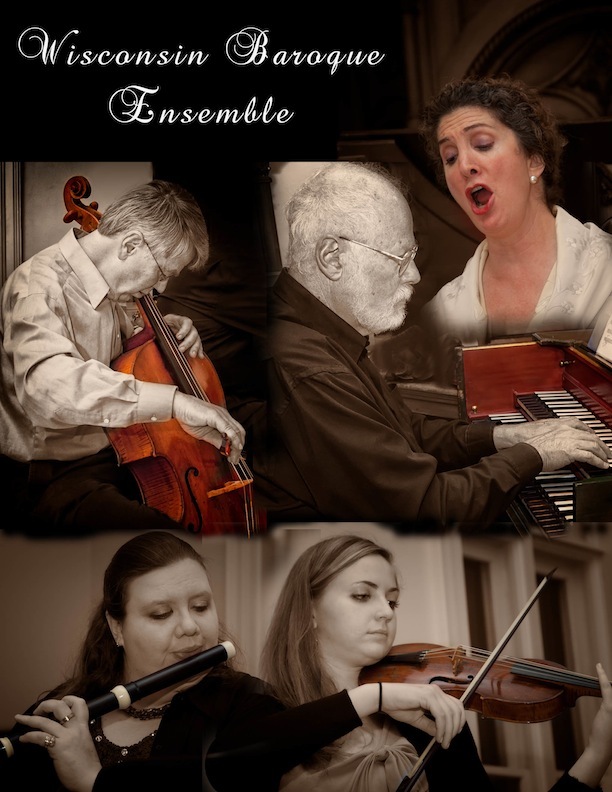 So what is one to make of a concert called “Brandenburg X” this Friday night by the Wisconsin Baroque Ensemble (below), a terrific early music ensemble that uses period instruments and historically informed performance practices? Does it mean “X” as in the alphabet or FX (a phonetic stand-in for fantasy-like special “effects”? Or does it mean 10 as in a number or sequence, or perhaps as used in algebra to represent an “unknown”? Maybe all of those possibilities are correct. If it sounds like something out of science fiction or something futuristic, well that isn’t far off the mark. That is because Brandenburg X is indeed experimental. 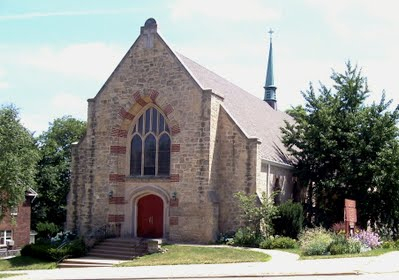 The concert is this Friday night, May 23, at 7:30 p.m. in Saint Andrew’s Episcopal Church, 1833 Regent Street, on Madison’s near west side, near Randall Elementary School. 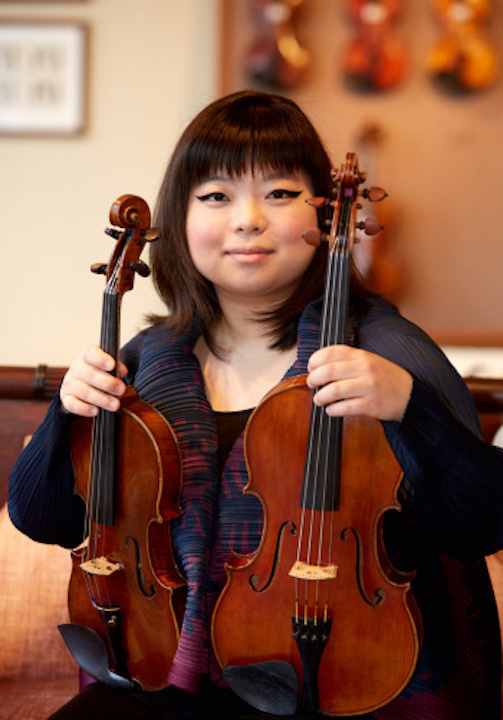 The performers are Peter Lekx and Marika Fischer Hoyt on baroque violas; Eric Miller, Phillip W. Serna and Russell Wagner on bass viols; Eric Miller and Anton TenWolde on Baroque cellos); Marilyn Fung on violone; and Emily J. Katayama and Max Yount on harpsichords. Tickets are available at the door only: Admission is $20; $10 for students. 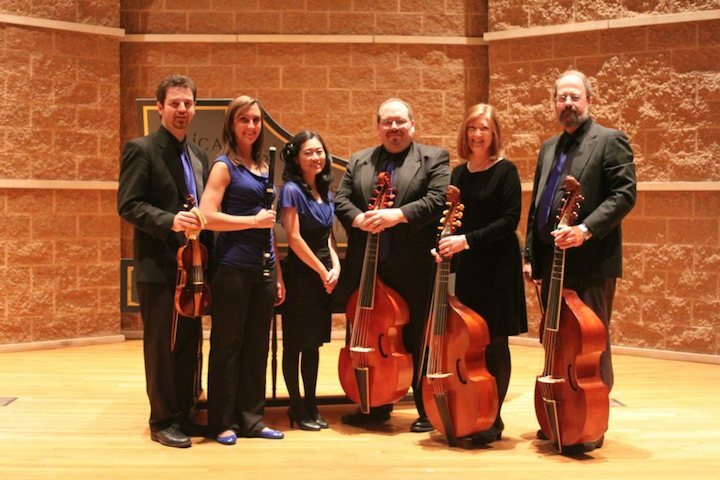 The Wisconsin Baroque Ensemble and New Comma Baroque of Chicago (below) will explore Johann Sebastian Bach’s music for the Viola da Braccio, the Violoncello, and the Viola da Gamba. The program includes: Brandenburg Concerto No. 6 in B-flat major, BWV 1051 (heard in a YouTube video at the bottom); Brandenburg Concerto “No. 12” (arranged by Bruce Haynes and Susie Napper); the Sonata in G Major, BWV 1027/1039, in an arrangement for 3 violas da gamba; the Concerto in C Major for Two Harpsichords, BWV 1061a; and the Brandenburg Concerto “No. 7” in C minor, BWV 1029, as arranged by Duncan Druce. Well, of course he did not, so we opted for the next best thing: compositions Bach could have written or arranged for these lower string instruments (violas, violas da gamba, cello, violone and harpsichord, without violins). The program is set around three “Brandenburg” concertos. We start with a “real” Brandenburg Concerto, No. 6, BWV1051 for two violas, two violas da gamba, cello, violone and harpsichord. This is followed by an arrangement by Bruce Haynes, “Brandenburg Concerto No. 12” created for Montreal Baroque, completely based on compositions by J.S. Bach. It incorporates Bach’s arias “Nur jedem das Seine”, BWV163; “Lass mein Herz die Munze sein, Ein feste Burg ist unser Gott“, BWV80; “Wie selig sind doch die, die Gott im Munde tragen”, and the Sinfonia from “Gleich wie der Regen und Schnee vom Himmel fallt,” BWV18. It is scored for 2 cellos, 2 violas da gamba, and basso. The last “Brandenburg” concerto (Number “7”) is scored as Brandenburg No. 6: two violas, two violas da gamba, cello, violone, and harpsichord. It is based on the G minor sonata for viola da gamba and harpsichord (BWV 1029) and was arranged by Duncan Druce. Some may frown on the practice of arranging Bach’s works for different instrumentations, but it is good to remember that Bach frequently re-arranged his own work, and that of other composers. Numerous cantata movements show up in different places, in different arrangements, sometimes in different keys. In fact, movements of the first Brandenburg concerto show up in three different cantatas, and Bach adapted the fourth Brandenburg into a harpsichord concerto. So the precedent has been set by the great master himself. In addition to the Brandenburgs we will be performing Bach’s Sonata in G-Major, BWV1027/1039 arranged for three bass viols. This work originated as a trio sonata for two flutes and basso continuo (BWV1039), which Bach recast as a solo sonata for viola da gamba and harpsichord (BWV1027). The program is rounded out with the Concerto for two Harpsichords, BWV1061a., as originally composed without an orchestral accompaniment. For more information (608) 238-5126 or visit www.wisconsinbaroque.org or www.newcommabaroque.org. Do you have a favorite “Brandenburg” Concerto? The Ear wonders: Why doesn’t a compete cycle of J.S. 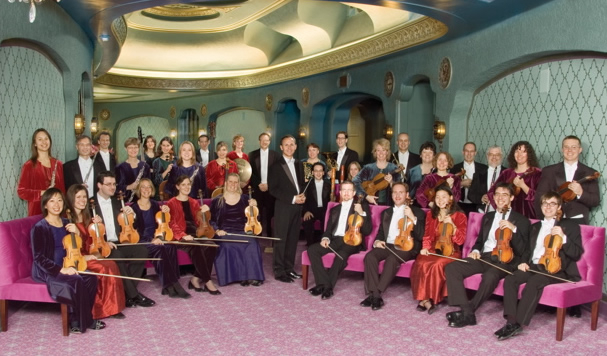 Bach’s “Brandenburg” Concertos get performed by the University of Wisconsin-Madison School of Music, the Madison Early Music Festival, the Wisconsin Chamber Orchestra or the Madison Symphony Orchestra? It is an annual holiday treat every year in New York City from the Chamber Music Society of Lincoln Center — which uses modern instruments — and The Ear thinks it would be a big draw in Madison. The Ear loves all of them, but especially prizes the busily virtuosic and exciting keyboard part in Brandenburg Concerto No. 5. 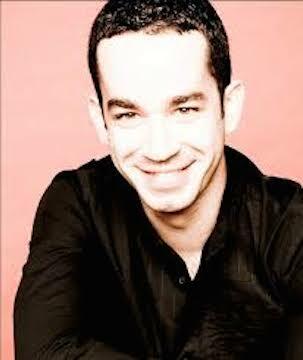 Classical music Q&A: Israeli pianist Inon Barnatan compares great music-making to great acting, and the concert hall to an exciting museum. 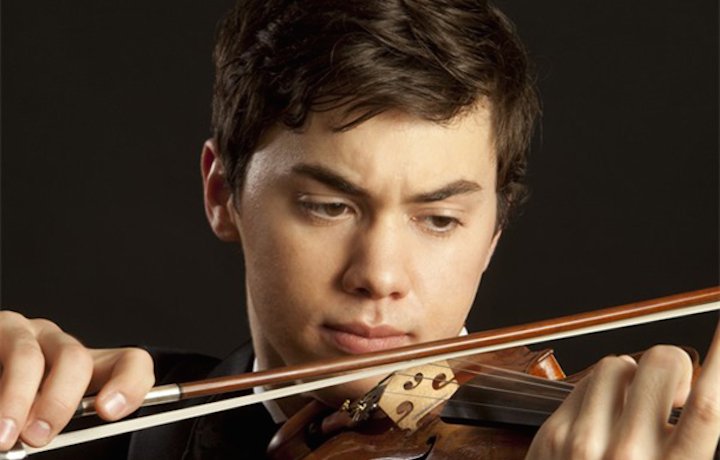 He makes his MUST-HEAR Madison debut on this Friday night at 8 p.m. in Mills Hall in a solo recital program of works by Schubert, Barber, Franck and Ravel. EDITOR’S NOTE: Please note that some reviews of productions last weekend are being delayed to make room for previews of the many upcoming concerts and musical events this week. 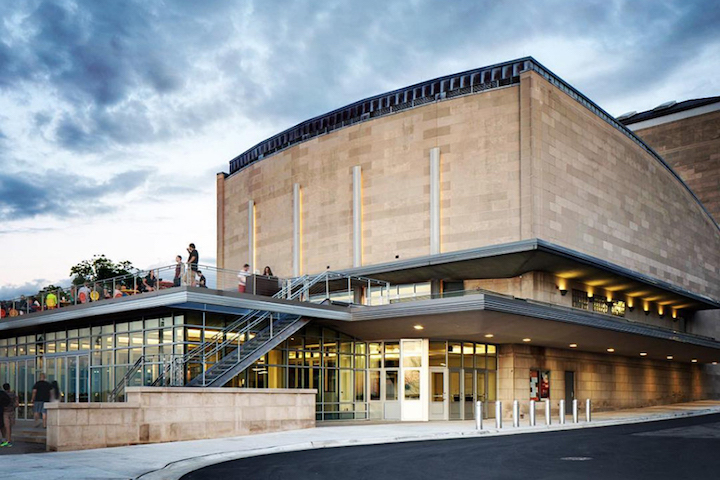 The prize-winning and critically acclaimed young Israeli pianist Inon Barnatan will make his Madison debut this Friday night at 8 p.m. in Mills Hall for the Wisconsin Union Theater, which has been closed for two seasons while being renovated. 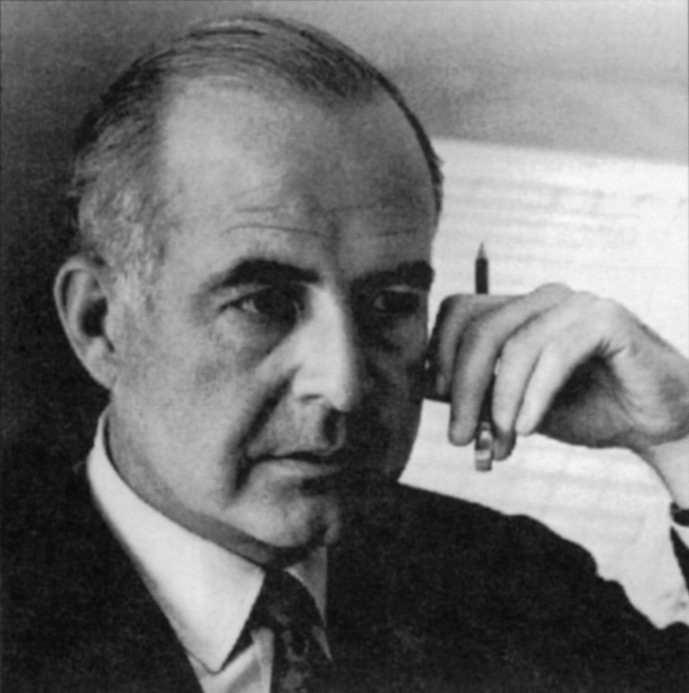 Barnatan’s MUST-HEAR program is ambitious and appealing; Franz Schubert’ late Sonata in G Major, the one that the young critic Robert Schumann praised so effusively; Samuel Barber’s Piano Sonata, which was premiered by Vladimir Horowitz; the “Prelude, Chorale and Fugue” by the late French Romantic composer Cesar Franck that was a favorite of Arthur Rubinstein; and Maurice Ravel’s dazzling “La Valse” for solo piano. 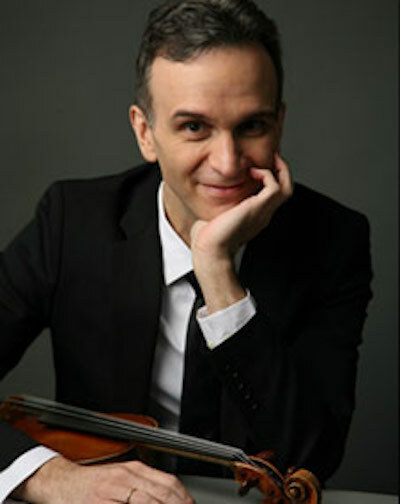 You might recall that Inon Barnatan won raves this past winter for his last-minute appearance with the Milwaukee Symphony Orchestra under Edo de Waart when he stepped in to substitute for an ailing Radu Lupu and played the titanic Piano Concerto No. 1 in D Minor by Johannes Brahms. 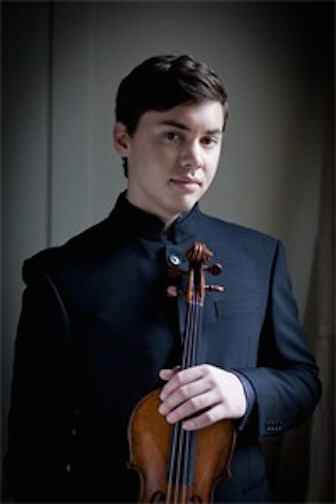 In 2009, he won a prestigious Avery Fisher Career Grant, and he has been recognized by the Irving S. Gilmore Foundation. The Ear has been listening to his recordings: from violin works (the last Sonata by Ludwig van Beethoven and a Fantasy by Schubert) and his impressive readings of the famous last three sonatas and final impromptus and sonatas by Schubert to his performances of “Darkness Visible” by the contemporary British composer Thomas Ades. They all demonstrate his virtuoso technique but also his abundant musicality, subtle interpretations and full tone. Most impressive is his ability to play softly and lyrically. 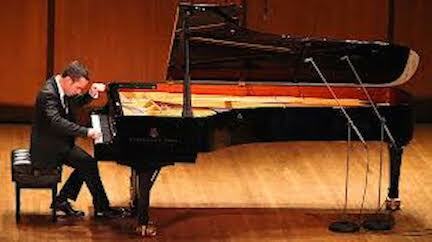 It leaves no doubt: Inon Barnatan is a major poet of the piano. 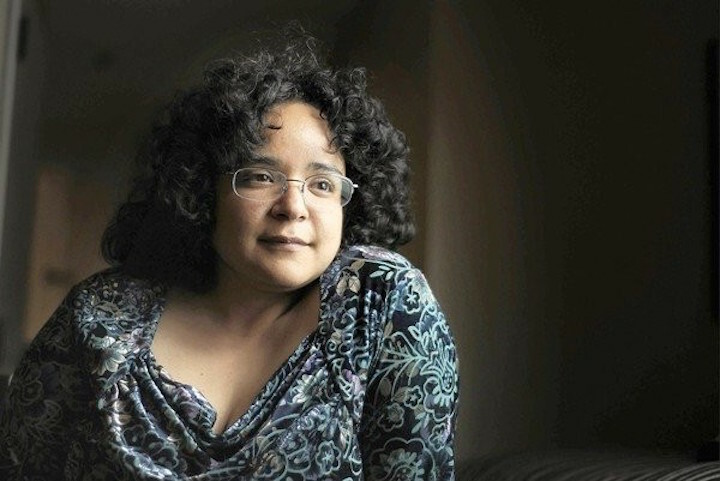 You were just named the first-ever Artist in Association at the New York Philharmonic for the 2014-15 season. What plans do you have for that position? How could it affect your career? What is so special for me about this position with the New York Philharmonic is that it is stretched over several seasons, so I will be performing with the orchestra both in New York and on the road for three consecutive seasons — which enables me to build a real relationship with this great orchestra as well as the audience. It removes a little of the pressure of the debut– since I know I will be coming back the following season and the one after that. 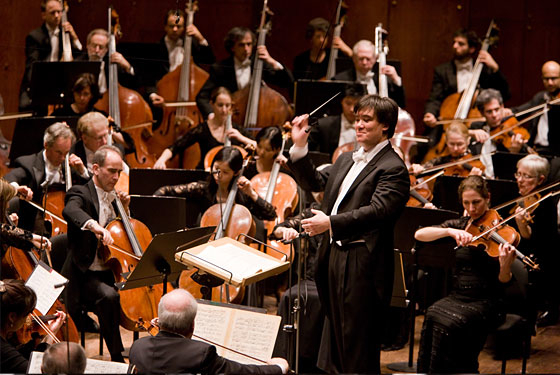 Of course there is pressure to live up to the expectations and the faith that the orchestra and Alan Gilbert (both below) have shown in me, but it feels wonderful to know that the organization is behind me from the get-go. This appointment has only recently been announced but has already had significant effect on my career. New York is the center of so many things and when the New York Philharmonic does something, people take notice! I really couldn’t be more thrilled with it. How would you describe your approach to playing and interpreting music? 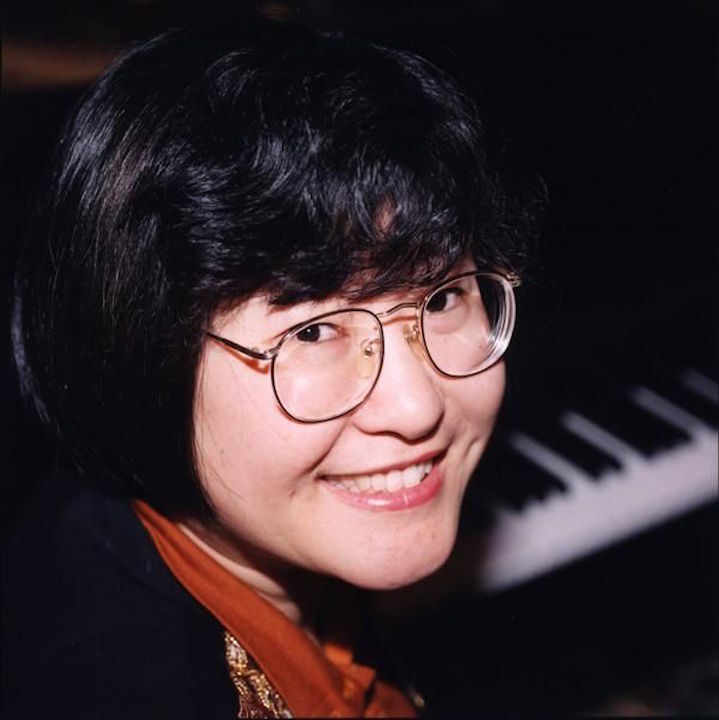 Are there other musicians, and especially pianists, either historical or current, whom you admire and why? 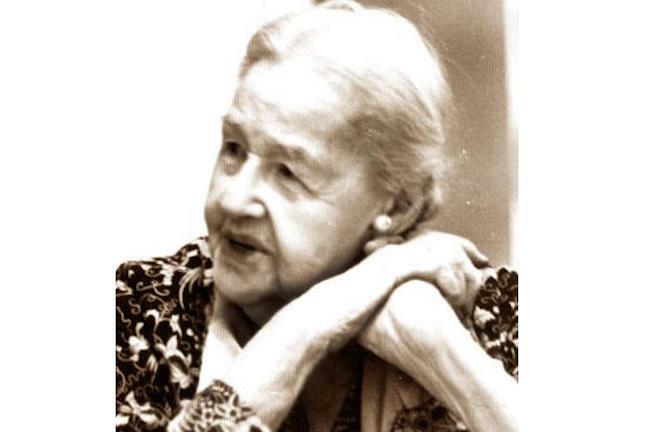 I feel that we classical performers are like actors — we have a text that we try to internalize and bring to life, but ultimately it is not ourself that is being presented, but the character, or, in our case, the music, that is being communicated. A great actor like Meryl Streep becomes whichever role she is playing, embodying it in such a way that she herself disappears and becomes the role. That is what I think my job as a performer is. I don’t want an audience to listen to me playing a piece — I would love for them to feel like the piece is being created at that very moment, the same way I would want to believe an actor IS the person that they are playing, not merely reading the text convincingly. There are great performers, as well as actors, that are compelling not because they disappear in a role, but because of the very force of their personality. There are phenomenal actors and musicians that don’t change much with different roles or pieces, but bring their particular magnetism and virtuosity to every role. Your terrific and critically acclaimed new recording for the Avie label is an all-Schubert recital. But here you will perform a different big work, the G Major Sonata. What do you want to say about that particular work and its place in Schubert’s overall body of works? Why does Schubert hold particular appeal for you, and will you do more recording of his works, perhaps even a Schubert cycle? Thank you! 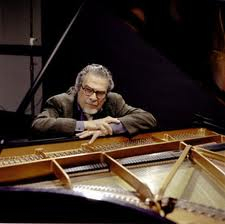 Back in 2004 I participated in a Schubert workshop with the great Leon Fleisher (below) at Carnegie Hall, and in some ways that was the start of my love affair with Schubert. I was familiar with his pieces, of course, but delving into the late sonatas as we did, I became intoxicated with the beauty and depth of the music. 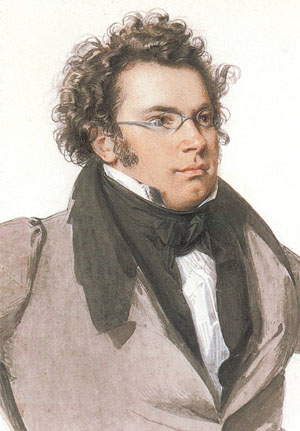 The music of Schubert (below), and especially the music he wrote later in his short life, became a staple of my repertoire. I even curated a project of solo, chamber and vocal music from the miraculous last year — and both the Schubert CDs I’ve recorded so far feature pieces from that year. That said, the G Major sonata, even though it was not written in the last year but a couple of years before, stands proudly amongst the greatest. It is one of his most lyrical and poetic pieces. It is not played nearly as often as the last three, and I am excited at the prospect of some audience members discovering it for the first time. As for a possible Schubert cycle, it has been a dream of mine for a long while — perhaps I will keep playing his works one by one until I discover that I have recorded the whole cycle! 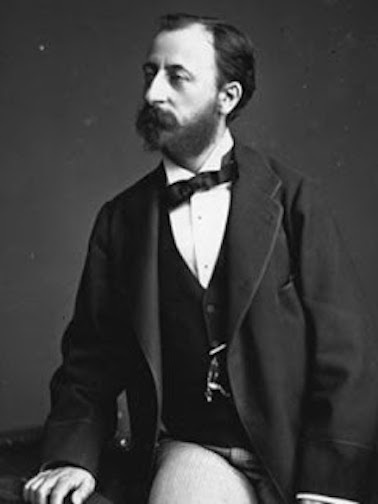 What would you like the public to know about your Madison program, which includes Franck, Barber (below) and Ravel? This is a very special program to me. The pieces are magical: They manage to be at once very emotional and very intellectual, without compromising one for the other. The pieces all have a sense of nostalgia about them, in different ways. The composers of the pieces in the first half take Baroque and Classical forms, such as fugues, chorales, sonatas, etc. and imbue them with their own innovation and emotion. The second half has more of a sense of fantasy, a sense of light that by the end of the recital turns to dark. I guess the second half goes from the sublime to the grotesque. How do you think classical music can reach new and young audiences? And what advice would you give to aspiring young musicians and especially pianists? That’s the million-dollar question. I think there are many things we need to do. It starts with education — putting an instrument in a child’s hand teaches them a lot about communications, listening and a huge variety of other important skills. It also encourages future curiosity about music and culture. We also need to be more inclusive in some ways, make the concert experience something that would appeal to a young person as well as an older one. Nowadays, when there are so many ways to consume culture without leaving your home, the concert experience needs to have an energy and excitement to it that is unique to the live experience. A great museum knows that in order to attract a variety of ages and stay relevant, they need to have not only great art, but great curating. The Museum of Modern Art in New York, for example, is always teeming with people of all ages, newcomers, repeat visitors, young and old, experts and lay people. They have a collection of some of the great, established artists as well as new exciting art and they are always providing new and interesting ways to look at things. People who go there expect to be challenged as well as be entertained. 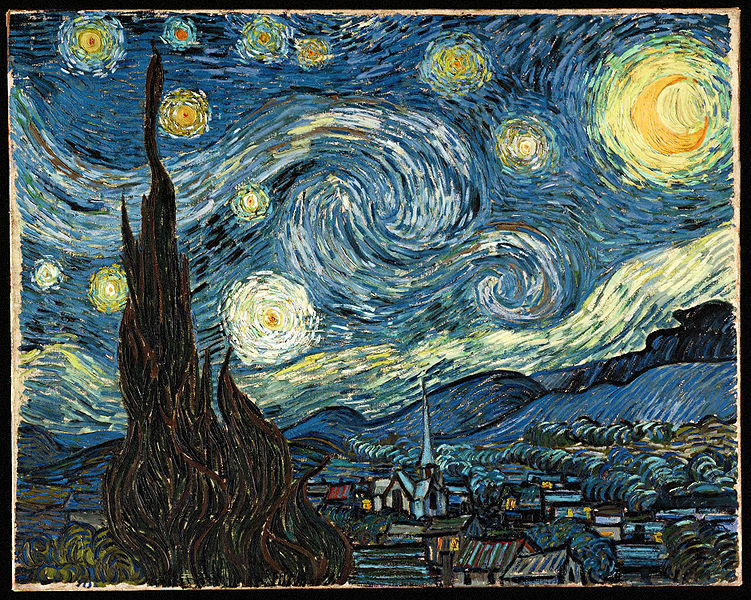 You may come to see Van Gogh’s “Starry Night” (below) but it’s the new or unexpected stuff around it that keeps you coming back. It’s that combination of edge and quality that makes it cool. We can learn a lot from that. As performers we need to strive for the highest possible quality of performance, and at the same time try to present it in a context that is interesting, and sometimes challenging or unexpected. Classical music: Brass Week in Madison kicks off with tuba and French horn concerts at the University of Wisconsin by John Stevens and Daniel Grabois, who will highlight works by contemporary UW composers. Call it Brass Week in Madison. 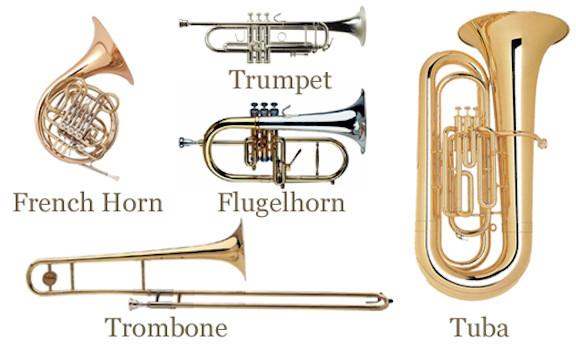 Concerts this week will feature three different brass instruments: the tuba, the French horn and the trumpet. The Ear guesses it is all due more to happenstance than planning. But whatever the origin, Brass Week begins Tuesday night at 7:30 p.m. in Mills Hall at the University of Wisconsin-Madison School of Music with a FREE recital by tuba professor and composer John Stevens, who will retire at the end of this semester. 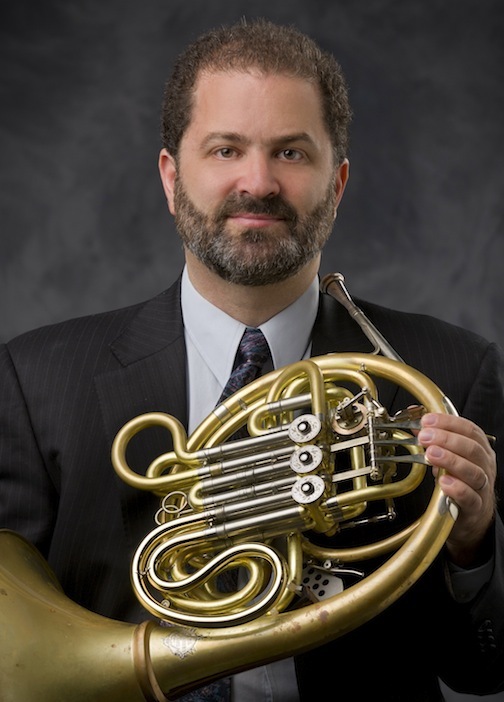 It continues on Wednesday at 7:30 p.m. in Mills Hall with a FREE recital by French horn professor, who also is the latest addition to the Wisconsin Brass Quintet, Daniel Grabois. And then on Thursday, Norwegian trumpeter Tine Thing Helseth will start her three performances as soloist in concertos by Haydn and Alexander Arutiunian with the Madison Symphony Orchestra under John DeMain. Helseth will be featured in a separate Q&A on this blog tomorrow. But here are details, drawn from the UW School of Music calendar of events, about the first two concerts. 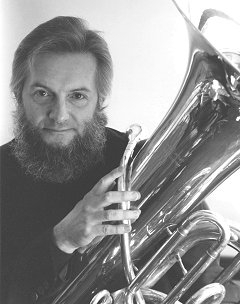 UW tuba professor John Stevens (below) will perform three well-known masterpieces – the Horn Quintet by Mozart, the “Songs of a Wayfarer” by Gustav Mahler and the Horn Trio by Johannes Brahms– all adapted for the tuba. 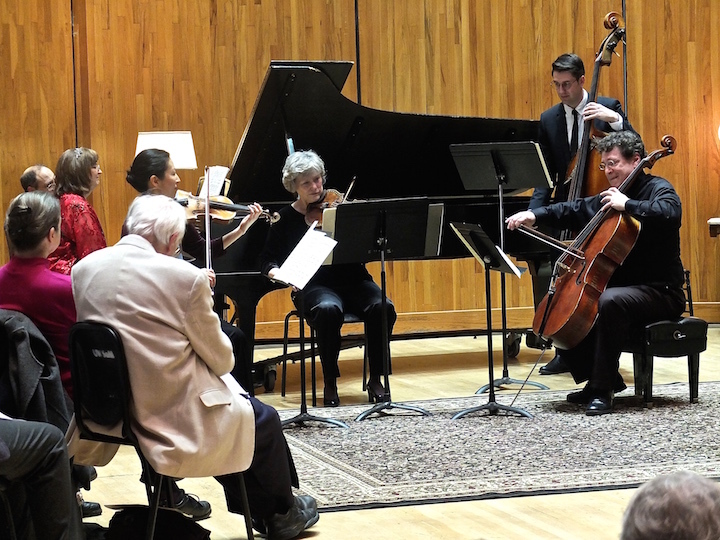 Guest artists include violinist David Perry, violist Sally Chisholm, cellist Parry Karp, all of the UW Pro Arte Quartet, and UW pianist Martha Fischer. 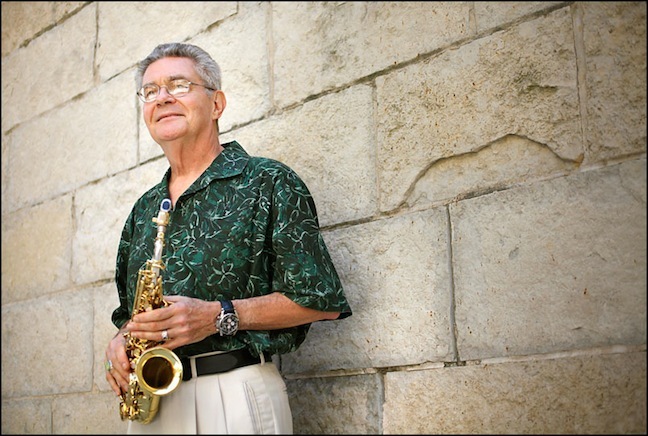 John Stevens (below with his instrument) has enjoyed a distinguished career as a teacher, orchestral, chamber music, solo and jazz performer and recording artist, composer/arranger, conductor and administrator. He has performed with every major orchestra in New York and was a member of the New York Tuba Quartet and many other chamber groups. He was principal tubist in the Aspen Festival Orchestra; toured and recorded with a wide variety of groups including Chuck Mangione, the American Brass Quintet and the San Francisco Ballet; and was the tuba soloist in the original Broadway production of BARNUM. 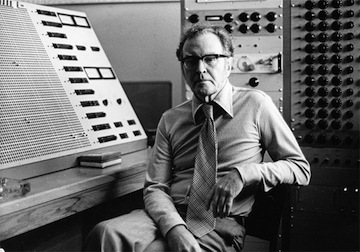 Stevens has released two solo recordings; an LP of his own compositions titled POWER (Mark Records, 1985) and a CD titled REVERIE (Summit Records, 2006). 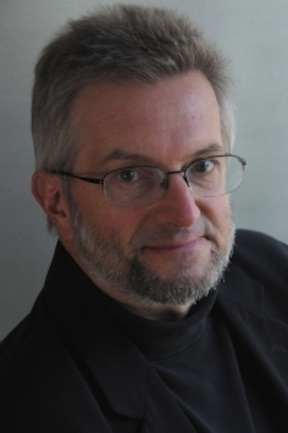 He joined the UW-Madison faculty in 1985 and, in addition to his other duties, was the Director of the School of Music from 1991 to 1996 and 2011 to 2013. 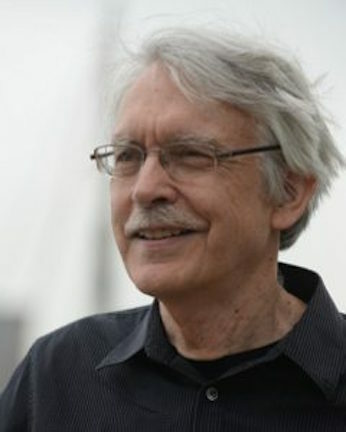 As a composer and arranger with over 50 original compositions and almost as many arrangements to his credit, Stevens is internationally renowned for his works for brass, particularly for solo tuba, euphonium and trombone, tuba/euphonium ensemble, brass quintet and other brass chamber combinations. 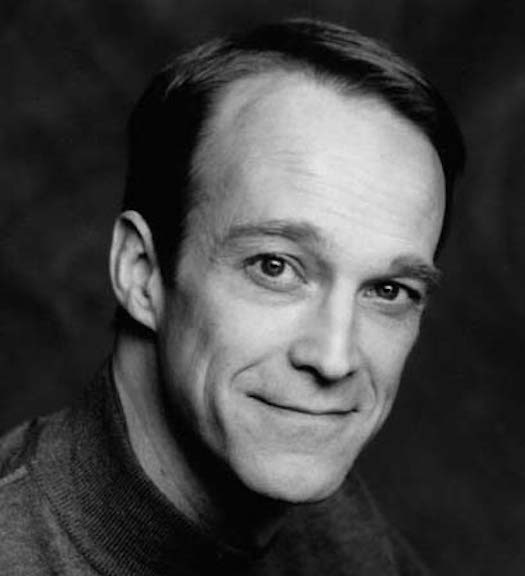 He is the winner of numerous ASCAP awards and has received many composition grants and commissions. 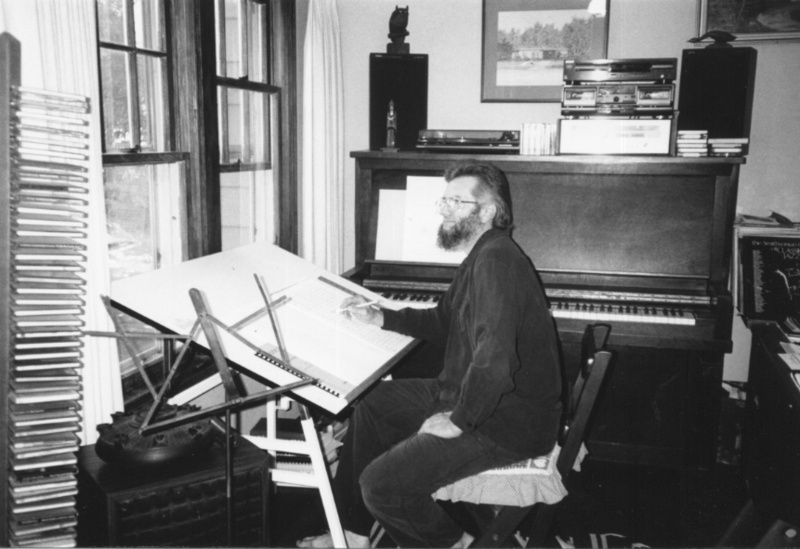 In 1997 Stevens (below, composing at his Madison home and at bottom in an interview in a YouTube video) was commissioned by the Chicago Symphony Orchestra to compose a tuba concerto. 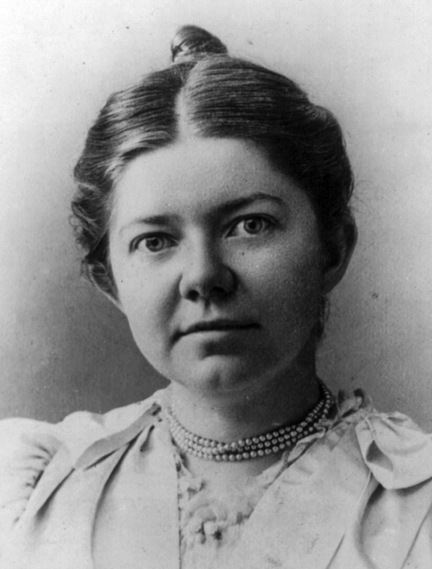 This work, entitled JOURNEY, was premiered by the CSO, with tubist Gene Pokorny as soloist. Recent compositions include the CONCERTO FOR EUPHONIUM AND ORCHESTRA, SYMPHONY IN THREE MOVEMENTS, a composition for wind band commissioned by a consortium of 14 American universities, and MONUMENT for Solo Tuba and String. Daniel Grabois is Assistant Professor of Horn at the University of Wisconsin-Madison School of Music. 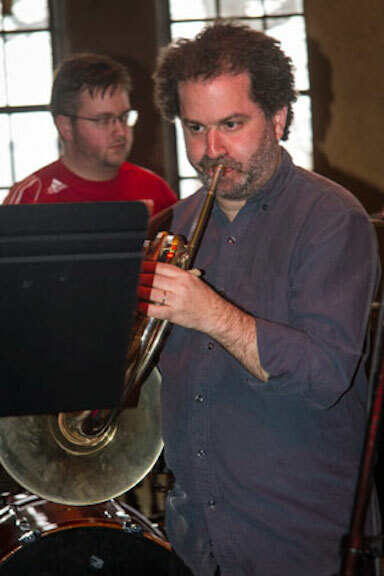 The former Chair of the Department of Contemporary Performance at the Manhattan School of Music, he is the hornist in the Meridian Arts Ensemble, a sextet of brass and percussion soon to celebrate its 25th anniversary. 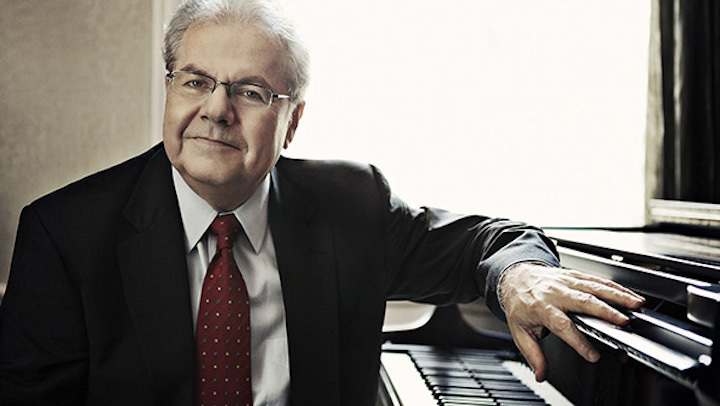 With Meridian, he has performed over 50 world premieres, released 10 CDs, received two ASCAP/CMA Adventuresome Programming Awards, and toured worldwide, in addition to recording or performing with rock legends Duran Duran and Natalie Merchant and performing the music of Frank Zappa for the composer himself. The author/composer of two etude books for horn, Grabois has appeared as a frequent guest with the Chamber Music Society of Lincoln Center, and has performed in New York and on tour with the Orpheus Chamber Orchestra, the Orchestra of St. Luke’s, and many other ensembles. He also appears on over 30 CD recordings, and has recorded a concerto written for him by composer David Rakowski. 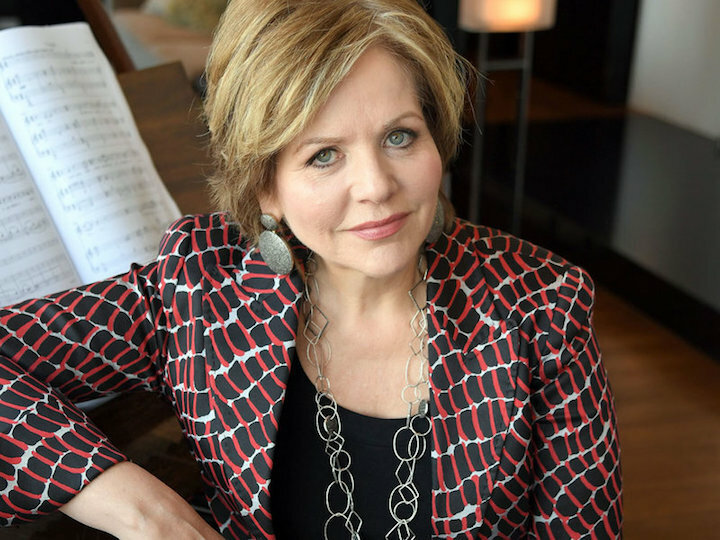 Grabois taught horn for 14 years at The Hartt School, and has taught courses on the business of music at both the Hartt and the Manhattan School of Music. Classical music: Let us praise musicians who played outdoors this summer and remember the challenges they faced. Apparently the composer Johannes Brahms was very fond of going to outdoors concerts in his native Vienna. 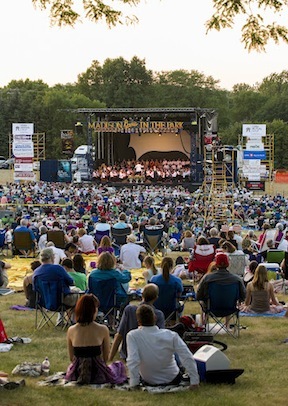 As summer comes to a close and fall approaches, it is good to recall that we in Madison are lucky to have so many outdoors musical events and so many of high quality. 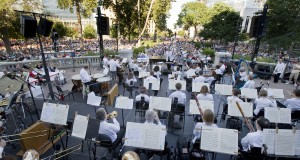 During this past summer, for example, outdoor concerts were given by: the Madison Symphony Orchestra in its Concert in the Park; the Wisconsin Chamber Orchestra in its justly popular Concerts on the Square; the Madison Opera for its “Opera in the Park” (below); and the Wisconsin Youth Symphony Orchestras in its Concert in the Park. And there are many others who could be named. Then too, I think of so much other kinds of music, usually non-classical and very often roots music such as folk and bluegrass, that gets performed at various outdoors venues from the Wisconsin Memorial Union’s Lakefront Terrace at the University of Wisconsin-Madison, La Fete de Marquette, the inaugural Make Music Madison Festival and the Orton Park Festival to little groups of musicians that play informally at the Dane County Farmers’ Market and various other farmers’ markets in the area. Corinna da Fonsecca-Wollheim of the New York Times recently wrote about some of those challenges as an outdoors concert at the bandshell in Central Park by the acclaimed Chamber Music Society of Lincoln Center was gearing up to perform its first-ever outdoor concert, of music by Wolfgang Amadeus Mozart, Ludwig van Beethoven and Antonin Dvorak, for the Naumburg Orchestra Concerts. 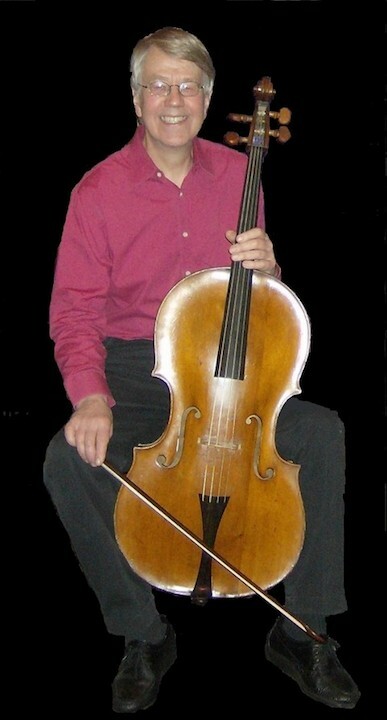 It is a very well done story with sources including the concert veteran and former Emerson String Quartet cellist David Finckel (below) and others. And her reporting gets quite specific about the challenges from keeping instrument in tune and playing the music to taking care of instruments and securing music in the stand. Do you play music outdoors? 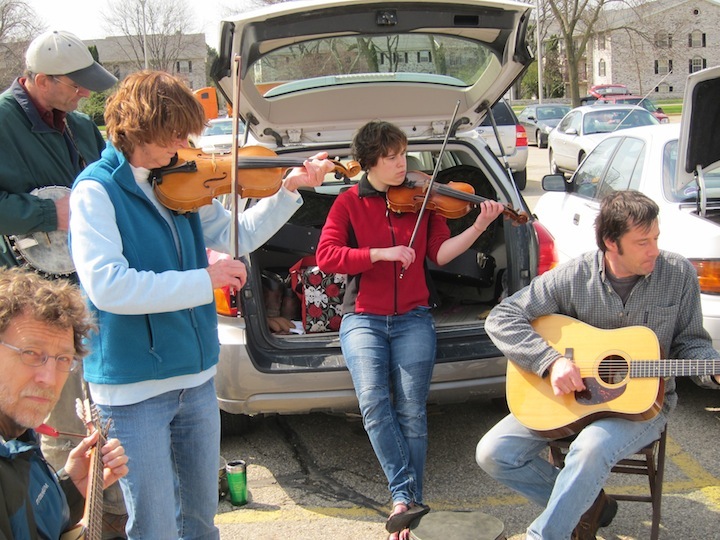 What stories or anecdotes and experiences can you share with others about the challenges of playing music outdoors?